Men can use this too. Just let it air dry. You can wash it off after half an hour or longer, it’s up to you. i need to boil the milk or can use raw milk for the paste? I have vitilego all over my body accept face, is using rice milk safe for me? Will it whiten my skin? I have white patches all . Pls answer. Hi sara, rice milk is safe and it doesn’t cause vitiligo. Does it really works .? Gudday, I m a Nigerian and dark in complexion, i saw d suggestions posted. I want b fairer but not too fair. Can d rice water b used to v bath if cooked in a large quantity? Plssss i want an ansswer. Is it okay to do this every day? Quick question. If you have a natural blush to your cheeks will the consistent use of rice water take that away our does it leave the natural blush in cheeks alone? Hi Ann, I don’t think rice water can affect blood circulation, so it’s doubtful that a natural blush can be affected by it. 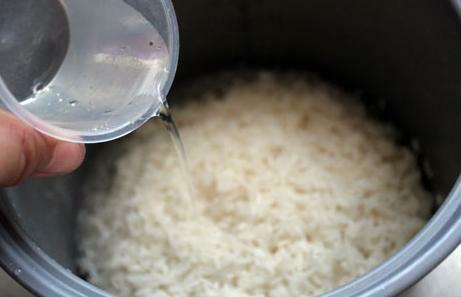 Any rice product will dry fairly quickly. It is not a good idea to leave overnight. I’d treat it as a facial, leave it on for 20 min and wash off. I have a face problem with acne.. and it is recurring.. is it possible to use rice mask on my face? 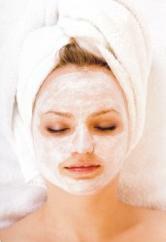 Will it irritate my face since i have a very sensitive skin?hope you will help me on this. Ive been to different dermatologist already but to no avail. (But not swarming with pimples).. Thanks. Hoping to hear from you! I have a normal skin .. Can I use the rice water with milk to get fairness…??? Pls answer. . .
Hi dear. I really like using rice flour for my skin and my skin too loves it. Do u think it is safe to be used everyday? Can you please tell me if the rice water and rice paste is suitable for teenagers starting from 12 years old. Yes you can, rice water is very mild. Is rice flour and rice powder the same thing? Can dried milk be used instead of fresh to mix with rice powder and then just add water in palm to use? Hi, rice flour and rice powder are different, but rice flour/milled rice can also be used as a mask, so if you have that instead, you can still use it to good effect. It does a good job of fading dark marks and brightening skin. And dried/powdered milk can be used as a good substitute to fresh milk, you can even use powdered milk to create a milk bath. Rice powder and flour are the same. Its just the names that are different. People say powder just because they use it on skin. People say flour just because they use it for cooking. BUT rice powder/flour are made the same way. Rice that has been grind/milled until they turn to powder form which is basically flour. Yes, Kelly is right — my mistake. Hi friends. …..rice water is a good skin toner…. Question!Can I use any kind of rice water as a toner?or is any rice water good for the skin? ria chickpea powder is made of chanais do you know what it is?if your indian than you will now that what am i trying to say………. I am 15, can I use this mask? It’s rice not milk. But milk can make a good mask too. But the second step to make your own skin lightening mask says that add some milk to the rice, Well, i m talking about that milk, is it raw or boiled? I don’t think it matters too much when you’re using milk externally and not drinking it, so you could use whichever is easiest. If you think it’ll give you pimples, just use water instead of milk. Could be that it’s not suitable for your skin. Just stop using it. You may be so smart but you are not being very kind. So what good does it do? A fifteen year old has much yet to learn, so it is their right to ask questions. A comment like yours does not encourage, but discouraged instead. So, if no one has yet to tell you, let me take the privilege. If you don’t have anything nice to say, then don’t say anything at all. Can I mix rice water with my body lotion? Thank you, i mixed with my body lotion but after a while i realized it started smelling. Please what should i do? will it be okay if i make a mask with boiled rice? something like porridge but just plain water and rice. will cooking the rice ruin or change the good components in the rice? thankyou. Can I use this daily? Or please tell how often I should use. Please. Hi Neha, yes, it’s safe to use daily as it’s natural and gentle on the skin. Must i wash the rice once before crushing it into powder?